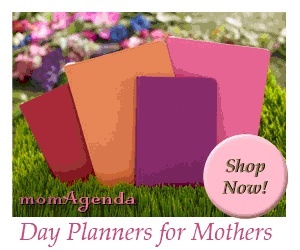 December 17, 2015 By Sabrina Quairoli This post may contain affiliate links. Read more on my Cookies and Policies Page located in the menu above. Go to a nearby Hallmark store. You can find lots of easy simple gifts to give to someone. Send regional treats. We have sent Chicago Pizza and San Fransisco Sourdough bread to family members. But you can also send NY Style Bagels, and Tastykakes too. Think about buying homemade stuff like handmade soaps and candles. Nearby high-end grocery stores, like Whole Foods will probably carry them. Create a CD playlist for them with their favorite songs. This may sound old school. But, people love CDs customized to them. Buy a plain t-shirt and decorate it with fabric markers. Need a gift for a kid who loves to draw, you can give them fabric markers and plain t-shirts to draw on and wear. Buy artwork or spirits at your local store. Wine and beer make great gifts. If you are in another state besides PA, you can ship wine direct from wineries. Pick up gift cards movie tickets at your nearest grocery store or movie theater. The main movie theaters have tickets everywhere these days. Add a bucket of popcorn or candy to the gift card and it would be great for a family night out or date night. Get a gift certificate for a lesson or two at your nearby dance studio or cooking class. Places like “Painting with a Twist” are great places to go and learn something new. Sur la table offers great cooking classes to sharpen your cooking skills. They also have date nights classes, mom and me and dad and me classes. We have been to several and really enjoy them. Make your own theme basket. Here are some examples: car wash, spa night, barbecue, baking, and bread making kit. Get a subscription to a magazine or a once a month club. There’s even a beer of the month club. I hope this helps inspire you to get your Christmas shopping done so you have time to enjoy the season. Please note these are affiliate links through Amazon, and at no additional cost to you, I will earn affiliate fees if you decide to make a purchase. Stick around and visit more posts to inspire you! I love that you included the suggestion of a homemade cd. I still have the holiday cd my best friend made me in college and I love listening to it each Christmas season! I’ve often thought I could do all my gift shopping at Walgreens if necessary. And most of your ideas I could get at Walgreens (including regional, Hallmark, gift cards, etc.) if I pick the one with the liquor department! I like your idea of buying artwork or spirits at your local store. In our area, local stores are closing down because people are not buying local. I totally agree with buying local and support your community. Love the T-shirt and markers idea! One year we bought the kids iron-on T-shirt transfers for our color printer, but your idea is easier, cheaper, and probably more fun. Great idea, Janet! I love t-shirts since they are affordable and you can make them anyway you want. Thanks for sharing. Thank you for this list! I’m really struggling with a few people on my list, and this post gave me a few ideas. Happy Holidays! Happy Holidays to you too, Natalie! Thanks for commenting! My favorite gifts are subscriptions – to museums or movie tickets. Gifts that give memories, not clutter! I totally agree, Kathy. Happy Holidays! PICK AND CHOICE FROM OUR MAILING LISTS! Sabrina’s Organizing blog is a participant in the Amazon Services LLC Associates Program, an affiliate advertising program designed to provide a means for sites to earn advertising fees by advertising and linking to Amazon.com. READ ABOUT WHAT’S NEW IN OUR FREE WEEKLY CHALLENGES EBOOK! How Do You Manage Your Family’s Time? Looking for a cleaning Service? 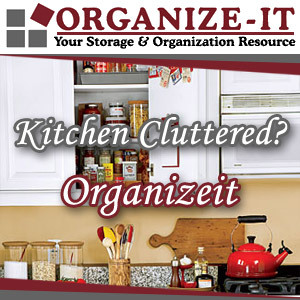 Looking for Our Business Organizing Services? Copyright © 2011 - © 2019 Sabrina's Organizing Blog and website content by Sabrina Morresi-Quairoli is licensed under a Creative Commons Attribution-NoDerivs 3.0 Unported License. Based on a work at Sabrina’s Organizing blog, website, and newsletters. Permissions beyond the scope of this license may be available at contact page.